Bulk confetti is sold by the pound. It is available in tissue or metallic paper. 1 lb of confetti will fill a 1 gallon zip-lock bag. 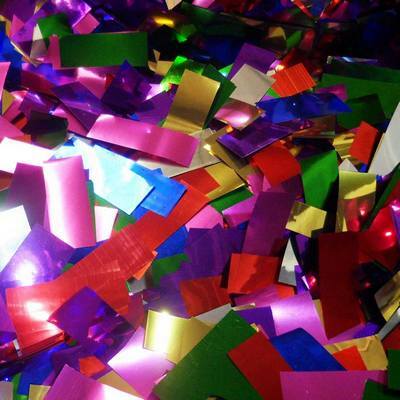 Confetti by the pound is designed to work with our continuous flow confetti cannon. You just pour the confetti into the cannon and it is ready to fire. 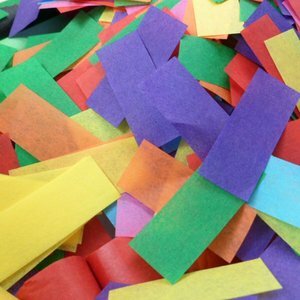 You can use this as hand-toss confetti or sprinkle it on tables for decorations. It also looks great when it is dropped from above a dance floor or other area. 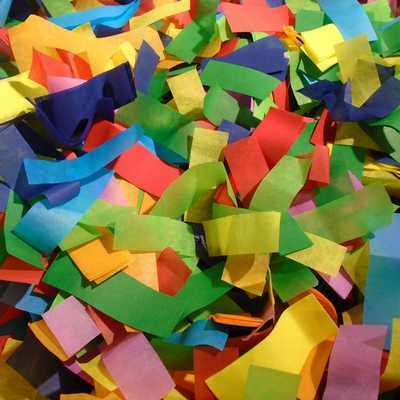 Tissue paper confetti is biodegradable. It will begin to degrade over time when exposed to the outside elements. It can take a few days or up to a week depending on the wind, rain and sun. Both tissue and metallic confetti are flameproof and will not catch fire. 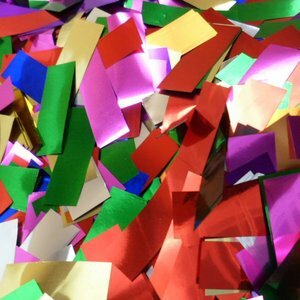 In 1885, paper confetti was first used as part of a New Year's Eve Celebration in Paris, France. This was done on the spur of the moment after a casino owner sliced up old New Year's decorations and tossed them at the next evenings celebrations. New Year's Eve does hold the annual record for the most confetti tossed on a single holiday. Times Square drops more than a ton of confetti during it's New Year's Eve Celebration.